SouthCrest Financial Group, Inc. (SCSG:PK), a $550 million asset bank holding company providing more than a century of service to businesses and consumers in the Southeast, announces the appointment of Daniel G. Broos to its Board of Directors. 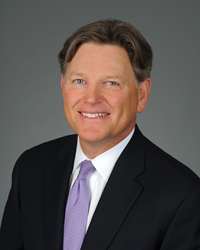 Brian D. Schmitt, President and Chief Executive Officer of SouthCrest Financial Group and its subsidiary, SouthCrest Bank N.A, said the appointment is a key component of the firm’s strategy to expand its focus on private business banking in the Atlanta region. “Dan’s track record for taking numerous businesses to new levels of financial success makes him a perfect addition to our Board of Directors as we chart an exciting new course to become a leading private business bank in the Atlanta regional market,” declared Schmitt. “I’m looking forward to joining the SouthCrest Bank board and believe my experience investing in small companies will bring a new perspective,” said Broos. “With Brian Schmitt at the helm, there’s a real opportunity to build SouthCrest into the go-to lender for small businesses and professionals throughout the metro Atlanta area." Broos is the founder and managing member of Brighton Partners (http://www.bpequity.com), an Atlanta based private equity firm targeting small businesses with $10 million to $50 million of revenue. The firm makes control equity investments, in partnership with management, in distribution and service companies with significant potential for long-term growth. Portfolio companies include: Century Resources, the well-established leader of secondary school fundraising programs; Lawn Dawg, a New England based provider of lawn care and pest control services; Premier Performance, a national wholesale distributor of aftermarket performance products; and Century Fire Protection, the leading fire protection systems provider in the Southeast. Broos is a graduate of the University of Georgia and The Wharton School of the University of Pennsylvania. SouthCrest Financial Group, Inc. is a $550 million asset bank holding company headquartered in Woodstock, Ga. The company operates a 12 branch network throughout Georgia and Alabama through its subsidiary bank, SouthCrest Bank, N.A. The bank provides a full suite of retail, commercial and online banking services.